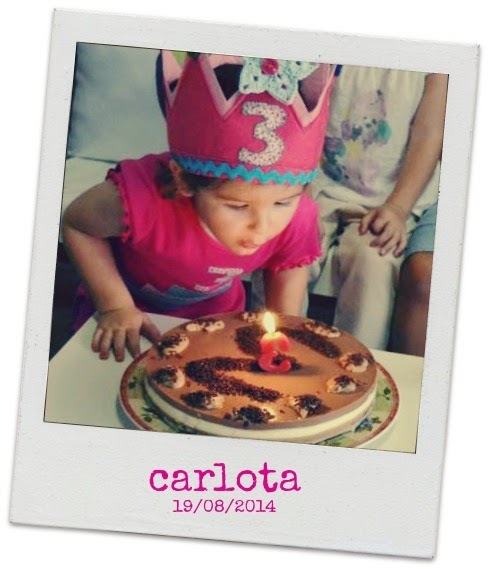 my world of wool: tutorial how to make a felted crown and Happy Birthday, Carlota! 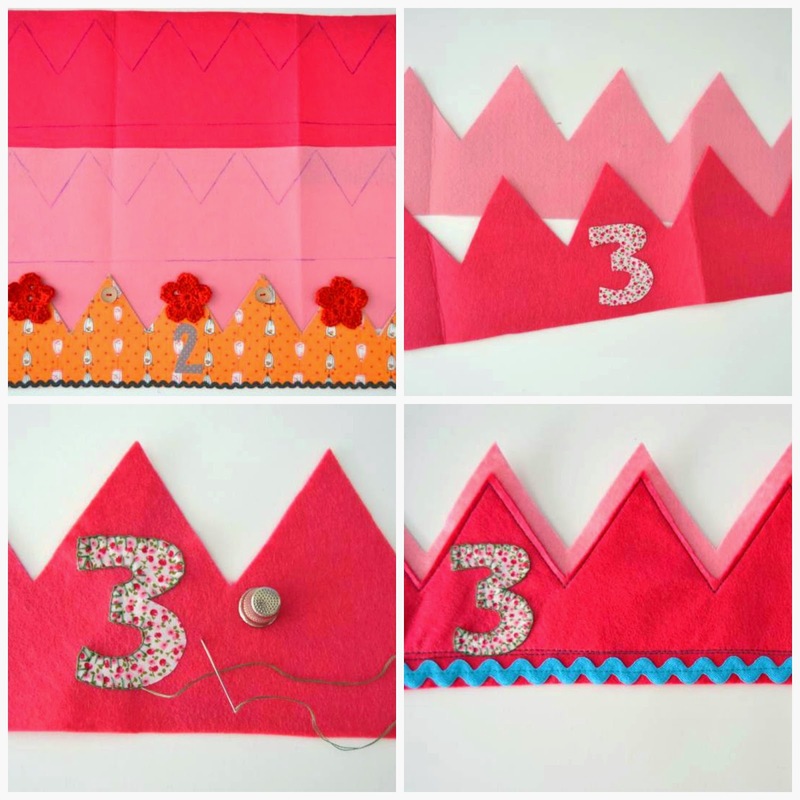 tutorial how to make a felted crown and Happy Birthday, Carlota! I guess many of you also think the same. to my daughter and a few days also preparing his birthday party. Today I show you some things I've done during the month of August. I start doing the t-shirt on night before the party. was not sewn, just stuck! hahahahahahha! For my daughter's birthday I also wanted to make a birthday crown. and now I tell you how I did it. and sewed with sewing machine all around. Also I sew a Velcro band on the back. 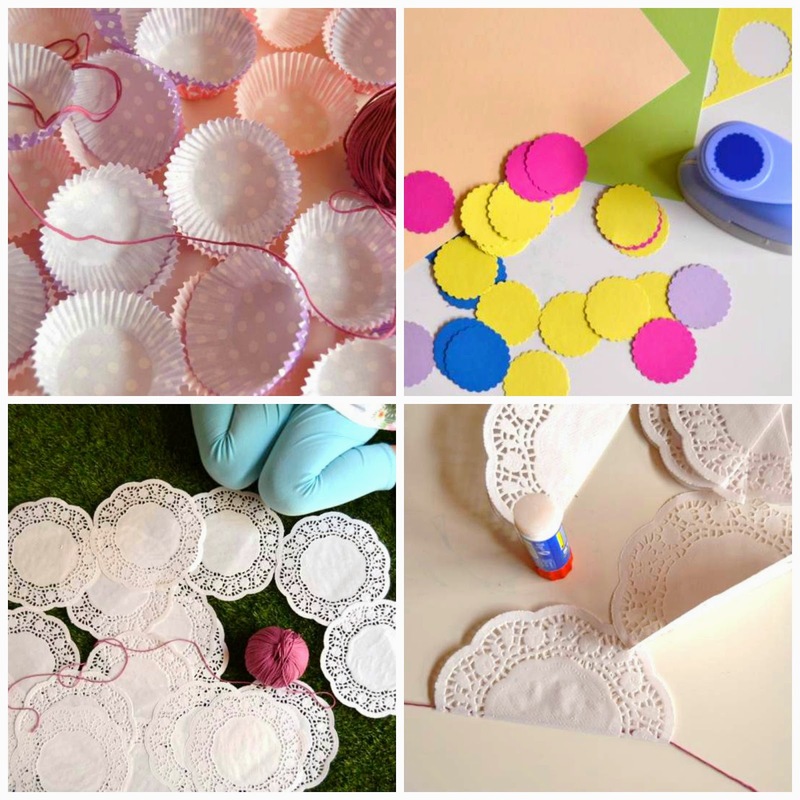 And for decorate if you want some decorative ribbon, buttons, etc. I put a crochet star of Christmas, too! 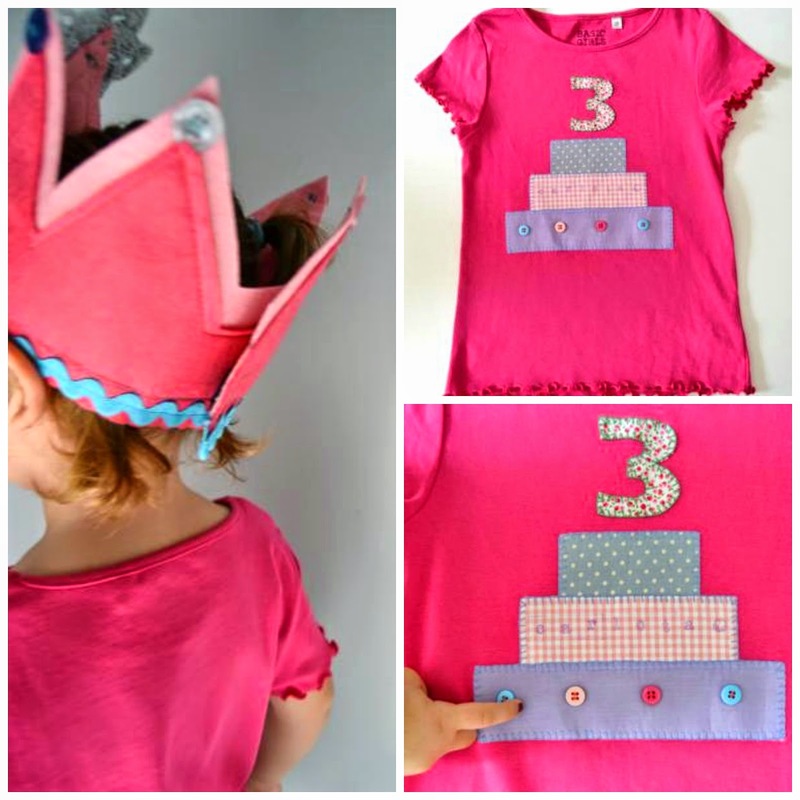 for children who are going to the birthday party. Very simple and easy, too! and one pretty ribbon in this elastic tape. for finalize to the crown. Easy, right? A lot of work but work done with love is a great pleasure! in decorating their birthday party. She really enjoyed helping mom! Really, It was a lovely party and the kids enjoyed a lot. 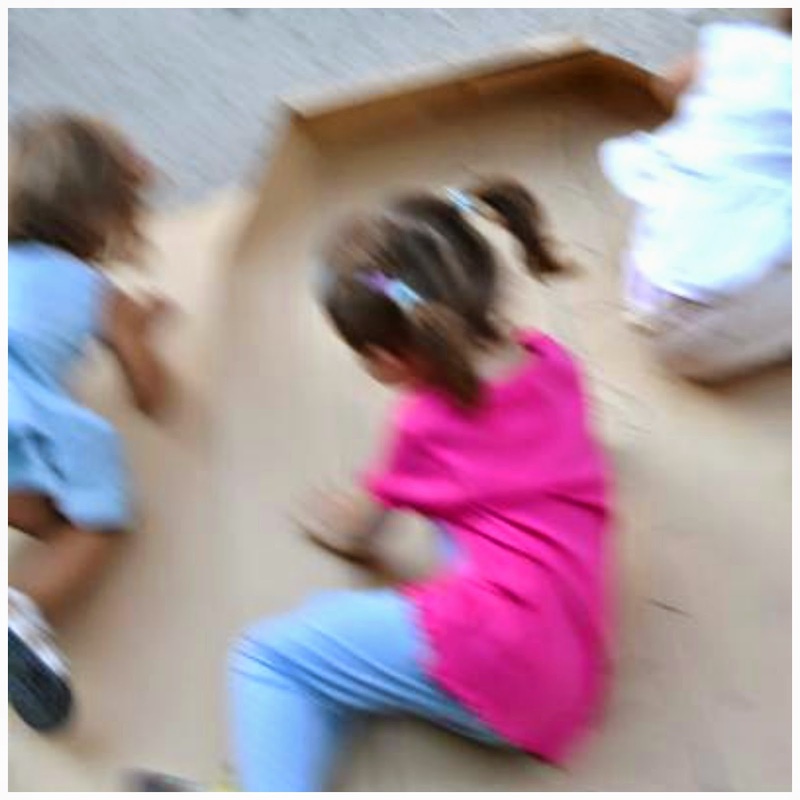 than with other toy... a cardboard box is sooooo much fun! Oh, finally, the cake! Also I did! The three chocolate cake, really delicious! Buon compleanno Carlota !!!! Imagine, tomorrow will be the birthday of my little one, but he'll be 12 years old, not 3 !!!!! How I miss my baby boys!!!! Beautiful crown and t-shirt Cristina : brava, as usual!!!! Moltíssimes felicitats per la Carlota, que gran que està!!!! Una forta abraçada Cristina.